Today, marketing and advertising are not only about providing information about your products or services. The modern consumer has become intellectual and doesn’t like companies which promote themselves too much. Social media platforms have helped brands to engage with their target audience and stay relevant. Not only important days like festivals, but brands are also now quick to latch on trending topics that can help them use the buzz for their promotion. 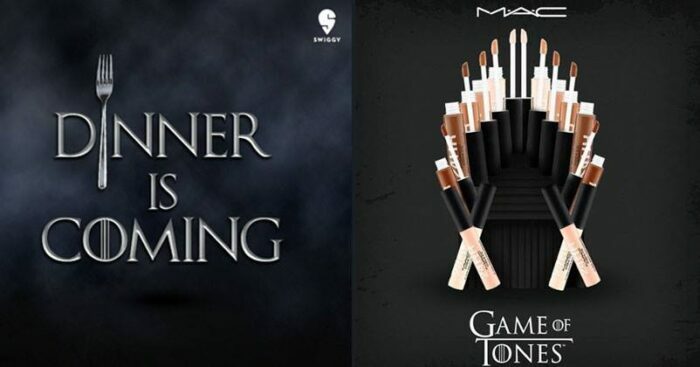 From time to time, we see brands smartly using meme marketing on social media and Game of Thrones is the latest topic brands are making full use of. Let’s have a look at some of the best posts and ads brands have come up at the launch of the final season of most moved show GOT.